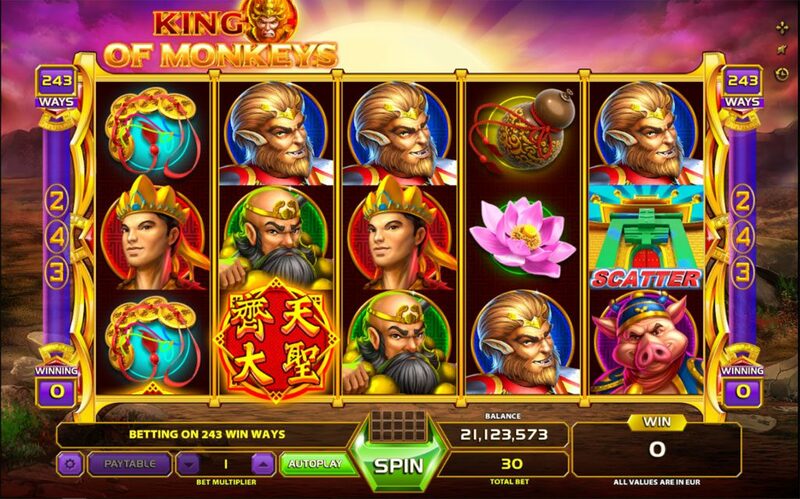 From the mountain of flowers and fruit to the distant lands of Gandara we invite you to join the mighty king of monkeys Sun Wukong and his companions Tang Sanzang, Zhu Wuneng and Shā Wùjìng on their quest for the sacred scrolls!<br><br> In this magical 243 ways slot from the enchanted lands of the east, you will embark on a journey filled with adventure and riches! 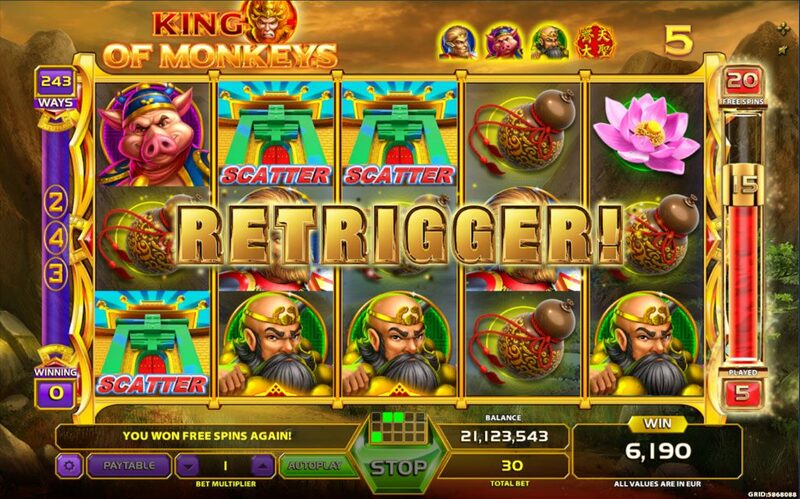 The game is packed with an action BONUS feature triggered by 3 Palace Scatter symbols (or more) awarding 10 FREESPINS. During the bonus game, take notice of the students of Tang Sanzang! They will trigger a special bonus feature if all 3 gather from the leftmost reel and summon a mighty dragon that will hover over our mighty heroes. Oh yes, a WILD adventure to be sure. 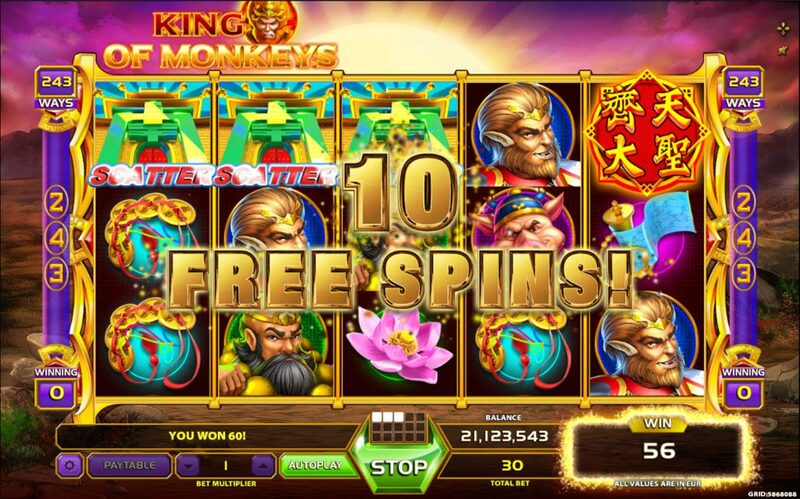 Note that if the temple appears 3 more times you will Re-trigger the bonus feature awaring a total of 10 more FREESPINS!<br><br> The journey to the west is going to take you on a satifying experience of fun and luxurious wins! There is no time to waste, let the fun begin! 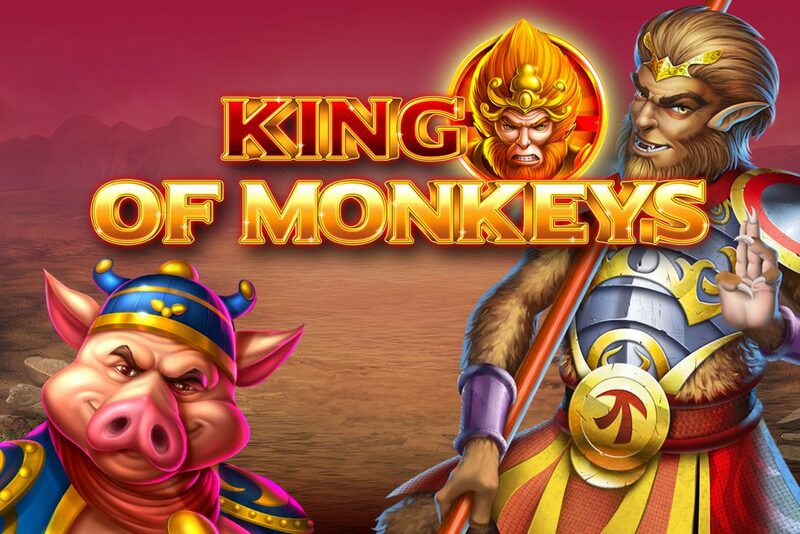 Unleash the rage, of the King Of Monkeys.